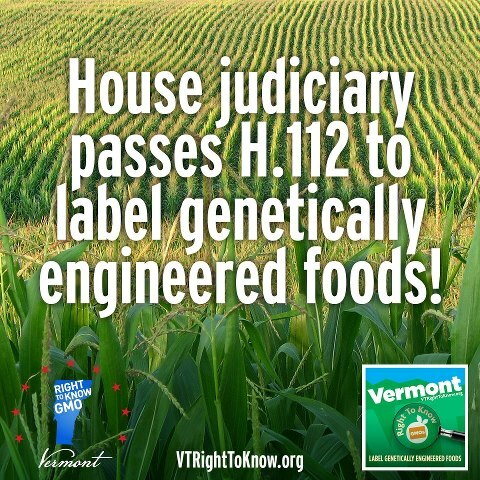 Today the GMO labeling bill H.112 requiring labeling of food products containing genetically modified organisms was passed by the Vermont House Judiciary Committee. The measure isn’t expected to pass into law this year, because there isn’t enough time before the end of the session — scheduled this weekend — to get the bill through the Senate. If it passes the House, as expected, the Senate will likely take it up in January. Rep. William Lippert, chairman of the Judiciary Committee, told his colleagues on Tuesday that the public interest in labeling is worth the risk of attracting a lawsuit from the food or biotech industries. Vermont is now on the road to becoming the first state in the U.S. to pass common sense GMO labeling legislation, they made a huge leap last year, passing a similar bill through the House Agriculture Committee. 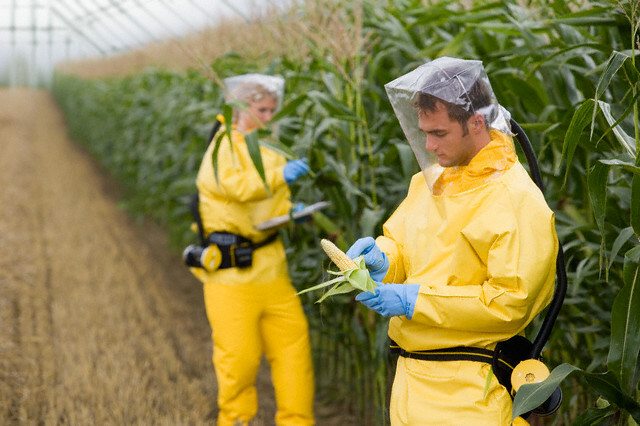 Meanwhile, in New Jersey the Assembly Health and Senior Services Committee on Monday debated legislation that would require labels on all genetically modified foods sold in the state, taking in testimony from biotechnology companies and from supporters advocating for consumer choice. Committee members entertained a lively discussion on Assembly Bill A3192, which would require that every genetically modified food product that is offered for sale in New Jersey contain a label that is conspicuous and easily understandable to consumers indicating that they contain GMOs.